One would have to say that a large part of the appeal of the Wells Branch neighborhood is its excellent location! Located only 15 minutes north of downtown, halfway between MoPac and Interstate 35, Wells Branch is a convenient and established community with a lot to offer today’s home buyer. With IH35 to the west and MoPac to the east, Wells Branch’s northern boundary is Grand Avenue Parkway while Wells Branch Parkway defines the southern edge. This north-central Austin location makes Wells Branch perfectly situated for a quick drive to many prime shopping, dining and entertainment centers: Las Frontera in Round Rock, the Arboretum and Gateway at 183 and Loop 360 or the Domain. When it comes to finding a great starter neighborhood for singles and young families, Wells Branch should be on your list of places to visit. With homes starting around $100,000 and going to the mid $250,000 range, there are a lot of choices within this 3,000 home community. Smaller homes of approximately 1,000 square feet start as low as $100,000 with the largest homes covering over 3,000 square feet in living space. You’ll find a happy medium of 1,600 square feet homes with a price tag of about $160,000 or $100 per square foot. Since early development began in 1982 and continued until 2003, there are a number of homes that are ready for a little facelift. You can get a great price on one of these older properties, and remodel it to fit your tastes! 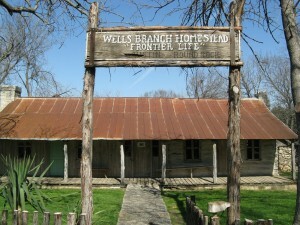 If you’re interested in early Texas history, you’re in luck at Wells Branch. Thanks to the Wells Branch Municipal Utility District (MUD) which provides water and wastewater services, the MUD provides recreational opportunities for its residents. 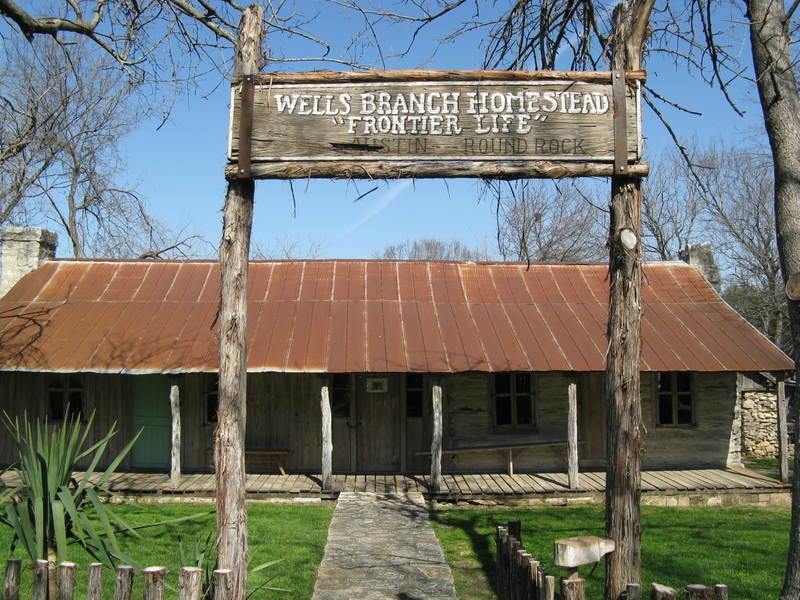 The crown jewel of the center is the Wells Branch Homestead, an 1850s cabin complex where locals and tourists can take a tour of the grounds, hear stories of early Texas and enjoy the festivals held on the surrounding acreage. It’s great for the kids and adults love it, too! The MUD also provides residents with a community center, two swimming pools (one heated throughout the year), basketball court, exercise room, and miles of hike and bike trails that wind through the community. If you work at one of the nearby high-tech companies such as Dell, IBM, Apple, National Instruments, or any other North Austin business, you’ll find the neighborhood to be convenient to both work and downtown. 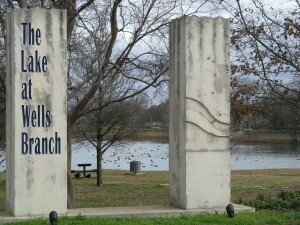 Most school age children will attend the Round Rock ISD schools, and a few will be in the Pflugerville school district. Great location, affordable housing, loads of shopping and acres of recreational facilities make Wells Branch a perfect place to consider for your new home purchase!